NB: Small discount applies to 2nd/3rd child from the same family camping on the same peak weekend. 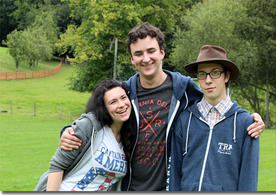 Teen Ranch is a great place to bring a group of young people for a fun weekend away! We provide supervision for all the activities, as appropriate, and organise the whole programme from the Friday evening through to the Sunday lunch. All catering, cleaning, etc is done by our own staff. All you need to do is turn up! Our aim is to provide a great time away for the young people through the activities we have on offer but the main reason for our existence is to share the Christian gospel message with all who come. We do this in a period each day called "Time Out" which is a compulsory part of the programme. On occasions groups may be required to share sleeping accommodation but this will be avoided where possible (the smallest dorm sleeps 10 and the largest sleeps 16). A holding deposit of £50 for every 10 places is required to make a booking. A non-refundable deposit of £20 per person is required 3 months in advance and remaining balance is due 3 weeks in advance. If cancellation is made within 3 weeks of the camp, full fees are to be paid. 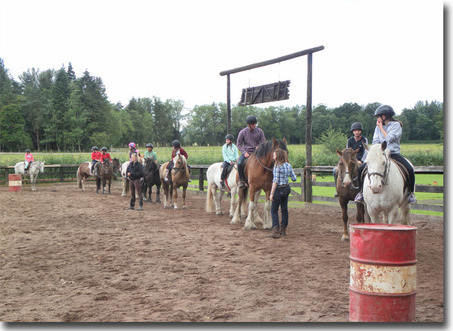 Please phone the office on 01828 686 227 or email us at office@teenranch.scot to enquire about availability before completing a booking form.